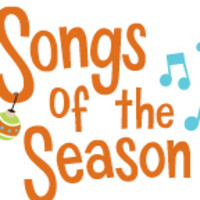 Songs of the Season is a holiday sing-along presented by the Longhorn Singers and the Butler School of Music. This annual program takes place in the Ground Floor Lobby, Central Stairway of the Main Building and concludes the donation drive for the Orange Santa program. In final preparation for the Holiday Store, Orange Santa and many helpers will be present to accept donations and fill a replica of the UT Tower with toys. Hot chocolate will be provided courtesy of the Office of the Dean of Students.